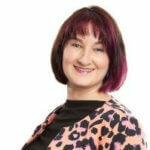 Joanne is currently Group People Director at EasyJet. The first twenty years of her career were predominantly in Financial Services and most recently in Primark where she led the People function as a member of the Board. Prior to moving to Ireland, Joanne worked in financial services in the UK, Netherlands, and Australia with experience in South East Asia and the United States along the way. Her focus has been on the people and culture aspect of the businesses in which she has worked, but she has also had roles in the operational parts of some of these businesses. She has had a lifelong interest in children and in particular their health and wellbeing. She is a mother of two primary school age boys.Previously a director of the Rotary Club of Sydney with special responsibility for Youth Service and is active in her sons’ school.